This entry led to the creation of a genuinely useful tool, but beyond that the judges were also impressed by the winner’s ability to scope and prototype a dynamic system. "Raluca created a prototype to gather some ideas on what an interactive Technology Radar looks like, what issues there might be and how to tackle them. 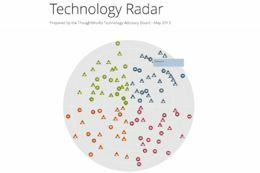 ThoughtWorks' Technology Radar captures ThoughtWorks’ view on current technology trends with an impact on the IT industry. It is released bi-annually by the ThoughtWorks Technology Advisory Board. She managed to create a fully working prototype which helped ThoughtWorks build what currently is used at : www.thoughtworks.com/radar Raluca focused on making an interactive mobile-first web application by using technologies like D3js and Ruby. " 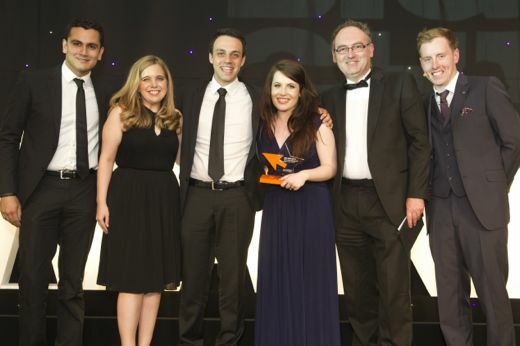 Entries are welcomed from any student, apprentice or their employer. The work should have been completed by the student or apprentice at some time between April 2013 and March 2014 while on placement or apprenticed. The Little Chip Placement/Apprentice Award is a new category in 2014.